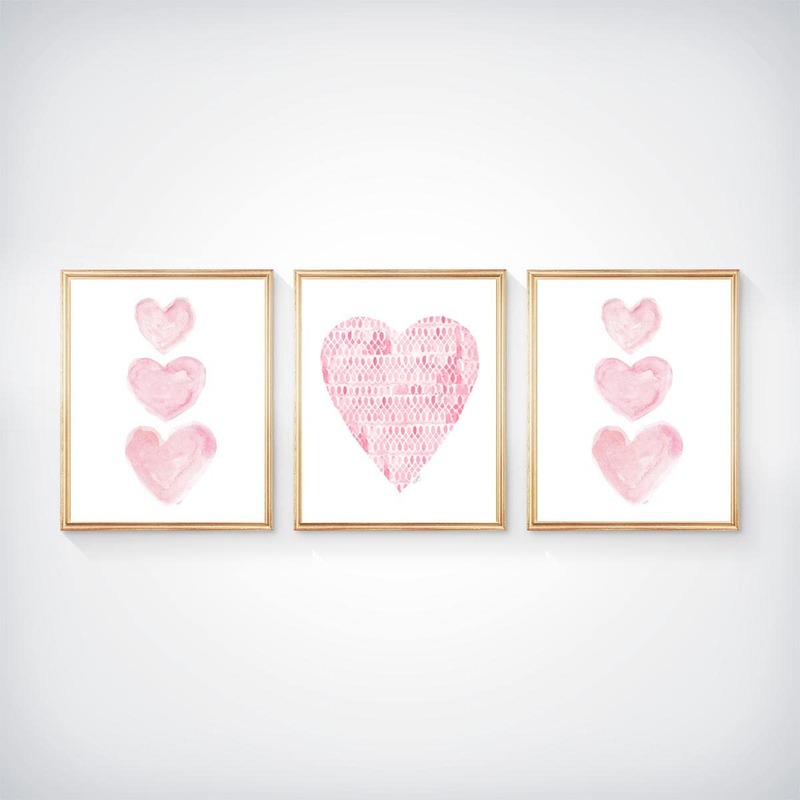 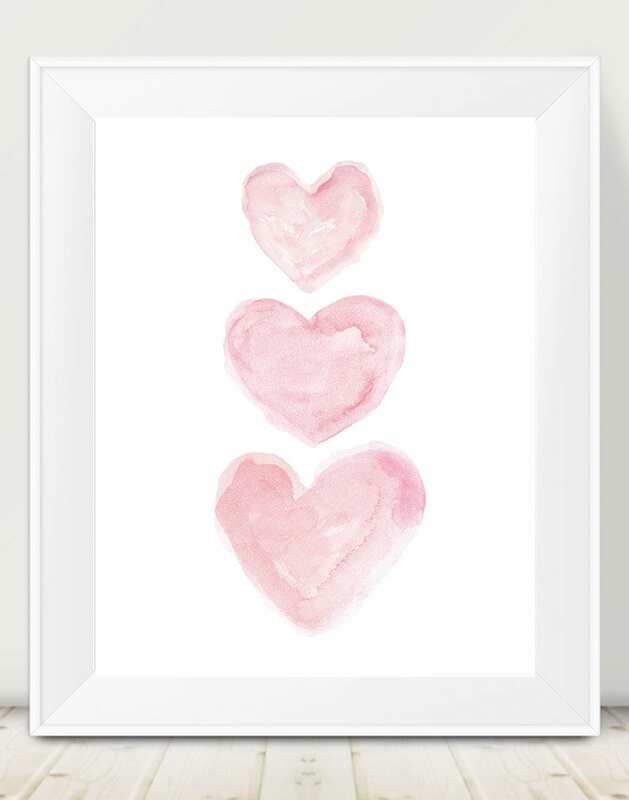 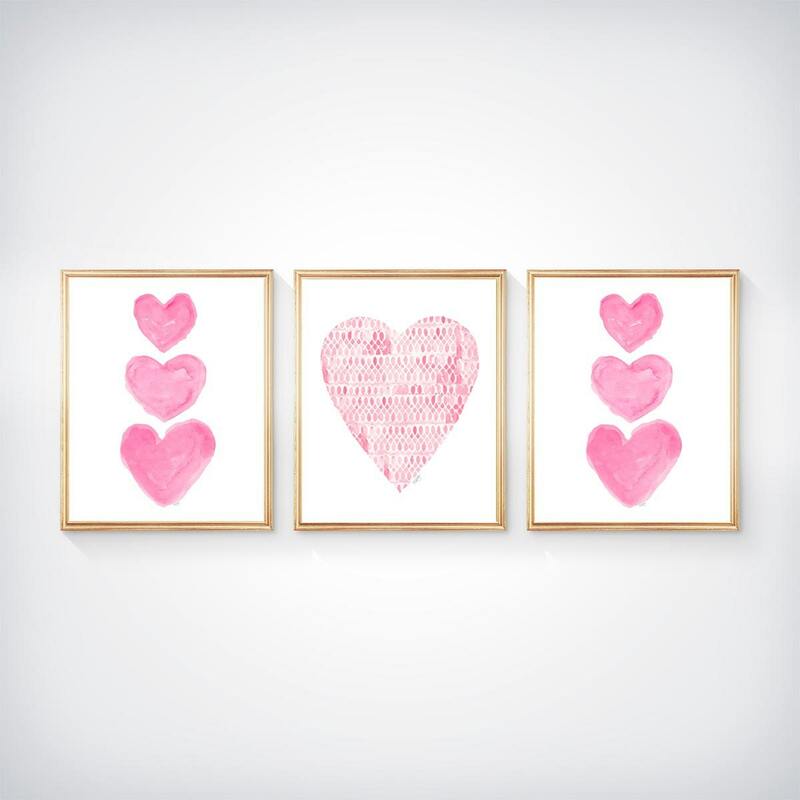 Pretty shades of pink form an inspirational heart painting. 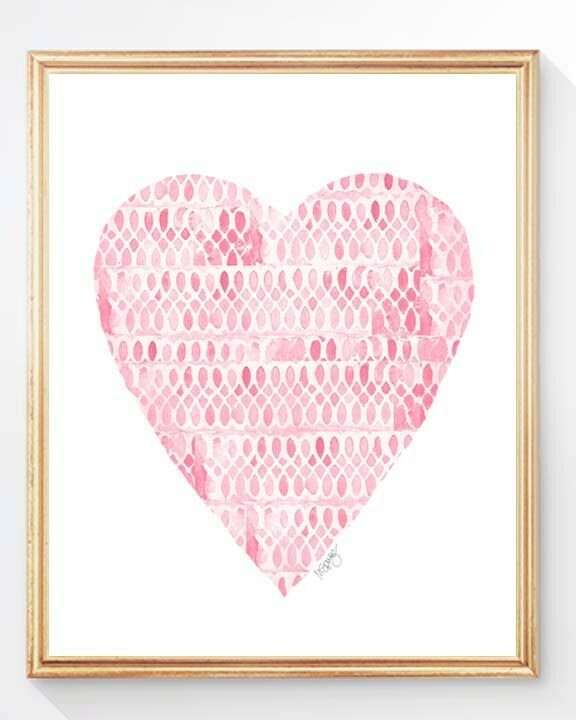 Created from my original stamped watercolor painting inspired by lace patterns. 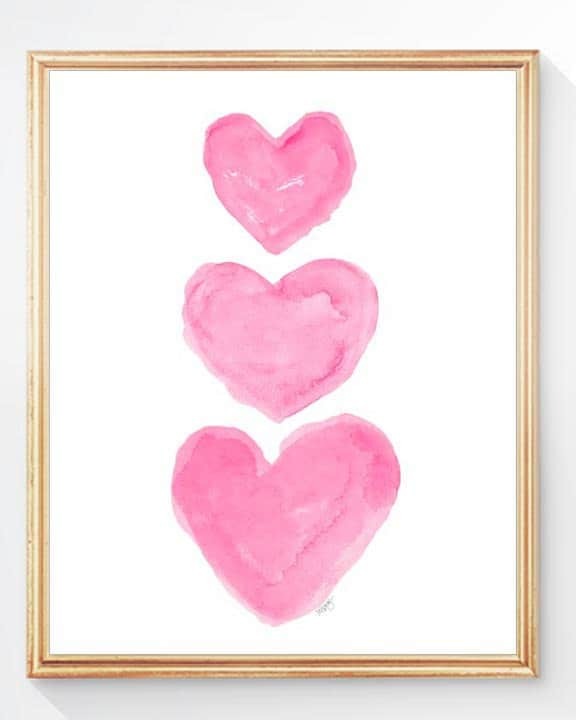 Available with a heart trio print on each end in either hot pink or pale pink.